Brought to you by Joanne Dennison, CMP, MS Ed. I am always wanting to share things with people …whether this can be called an actual newsletter is up for debate. I like to think it is more like having a conversation with you. And if you have met me you know how that goes …. Got a question? Want me to find something for you? Did you get this forwarded to you? If you would like to be on the list, text MEETGUIDE to 22828. Or just sign up here online! ﻿Things that interest me... and maybe you! This week Amazon announced its new program called Alexa for Hospitality, where Alexa will be able to assist hotel guests in their rooms in a range of ways. Check it out! What Pairs Well with Pot?
" A food and events specialist tells event planners to prepare for marijuana, whether they like it or not. " Looking for inspiration? Education? Or entertainment? See what favorite books are recommended for meeting pros by meeting pros! Do you have the App, "Spot Hero"? I have personally used Spot Hero to find available and cheap parking spaces around busy cities and its phenomenal! I had to share it, definitely a big help when in a rush to get somewhere and need to park. Las Angeles International Airport showcases technology that has overhead lights turn red or green, letting people know if the stalls are occupied or free! How convenient and cool! Did you know your luggage has an adventure of its own before you take off in the air? What an experience it has and distance it goes! When you travel and stay in a hotel room, do you ever feel you need extra security? You may want to check out this handy and affordable device that will surely protect you from unwanted guests! New England-Location to be announced and registration to open soon. That is all I know at this time. I will update in the E-Guide as soon as I know! I'm trying really, really hard to get a class in the Western United States. Please let me know if you interested in any of these classes, or any other locations. Have a venue? Would you like to know how I can bring a group of dedicated meeting professionals to your property. Ask me how to become a Venue Sponsor. 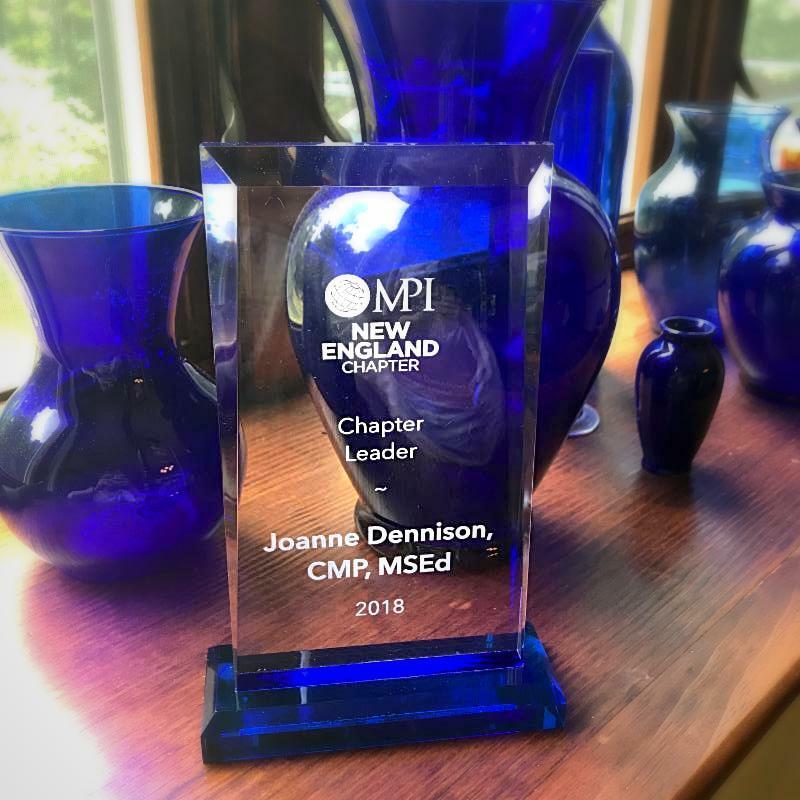 I was honored (and surprised) to receive the Chapter Leader if the year award from my “new” (five years) MPI Chapter — New England. It’s hard to be new and try to add value, so it means a lot to me that they feel this way. I am even prouder of us for the fact that five of these people prepared for their CMP with me. 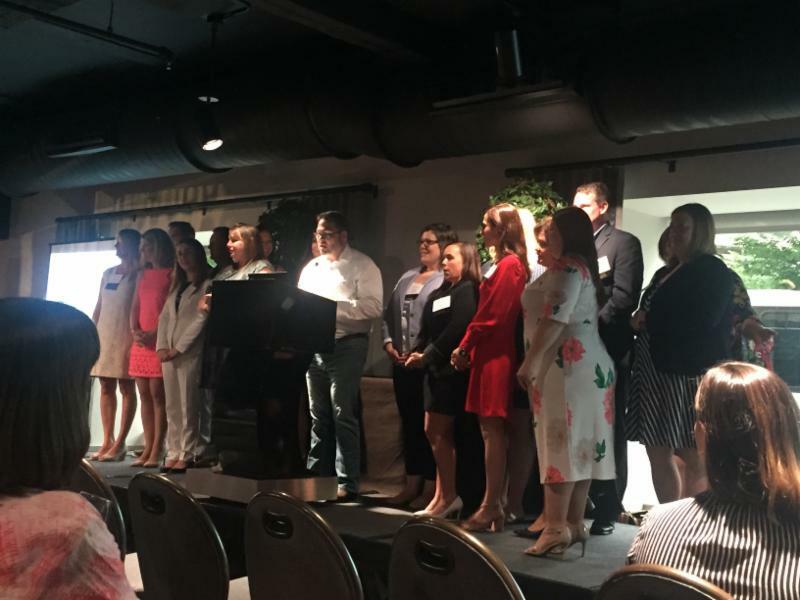 Photo from MPI New England board Installation. It means applicants will have 200% more testing days in 2019! Prometric will have those month-long windows open for us next week so registrations can begin. Didn't pass the CMP Exam? "What Happens When You Don't Pass the CMP Exam"
Here are more than 20 short videos to help you study for and take the CMP exam and some test taking tips. CMPs have their own conference — called a Conclave. The Events Industry Council is accepting requests for proposals for speakers to speak at CMP Conclave 2018. The call for proposals to speak at CMP Conclave is open! The theme of this year’s conference -- Contribute l Inspire l Elevate – reinforces Events Industry Council’s mission to enhance the knowledge and performance of event professionals. CMP Conclave is November 16-18 in Birmingham, Alabama. We are sourcing content for three distinct types of sessions this year. Please consider submitting one or more proposals and forward this along to your industry peers. 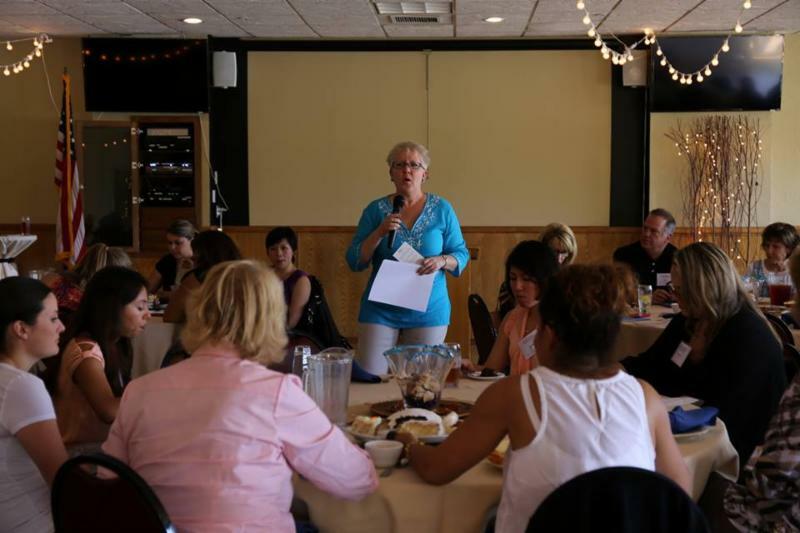 Breakout: These are 60-minute conference breakout sessions. We're looking for innovative content that challenges our CMPs to think differently. EventX: These are thought-provoking 10-minute short talks given from the main stage. Final presenters are chosen by the CMP participants themselves as we get closer to Conclave. CMP Lab: The CMP Lab will be open throughout CMP Conclave. There will be unique experiential opportunities. They can be 10-minute micro-learning moments or 90-minute deep dives. Do you have a great idea that just doesn't "fit" into a traditional breakout? This format is for you! #CMPConclave2018 is the only conference developed by and exclusively for Certified Meeting Professionals. We hope you consider sharing your expertise with our group and submit a proposal (or two!) before July 31, 2018. The Ordinary Success Project LLC is a CMP Preferred Provider. The program(s) identified with the CMP Preferred Provider logo meet the requirements to receive continuing education (CE) credit for the Certified Meeting Professional (CMP) credential. The use of the CMP Preferred Provider Pre-Check logo is not an endorsement by the Events Industry Council of the quality of the session. For more information about the CMP credential or CMP Preferred Provider Program, please visit www.EventsCouncil.org . 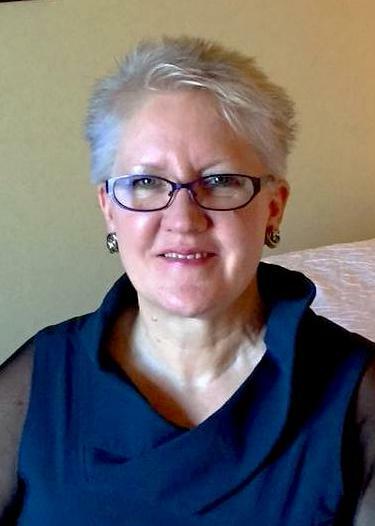 Meeting professionals worldwide — including Joanne Dennison — discuss the issues that are most impacting the meeting industry, including commission cuts and the latest technology. Conference Coordinator, ROCS Staffing, Falls Church, VA — CMP REQUIRED! Meeting Planner – 5-Month (July – November 2018) Temp-to-Hire Position, EMC Venues LLC, United States — CMP a plus! "Paying Attention to the News"
If you are on this list you probably heard me present on the meetings and events industry (good chance on the CMP exam) but no, you did not ask to be on this list because the list did not exist till now. If you choose to unsubscribe I totally get it. On the other hand if you stick around there might be something interesting, amusing or maybe even both .